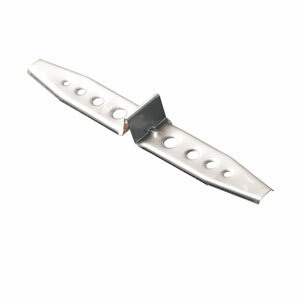 Galvanised Expansion Ties are a revolutionary tie that are used to create accurate masonry expansion gaps every time. These Abey brand ties have a patented design that allows for maximum grip to the mortar. They provide a control joint of between 10-20mm. Abey brand Expansion Ties are an Australian leader in quality. They exceed all Australian standards and are the recommended brand of ties for all tradespeople.